I can vividly remember a fishing trip to Costa Rica a few years back. In preparation for a day on the water, I made sure to slather my face, neck, arms, and legs in SPF 50 sunscreen. After a full day on the boat in the hot sun, I realized I’d missed a spot on the back of my neck. That was probably the worst sunburn of my life. At that time, fishing face masks weren’t commonly used by anglers. UV rays are magnified when you’re near water. A fishing mask will keep you protected from sunburn. Now you see them all over the place – and for good reason: a good fishing mask will keep the skin on your face and neck well protected from harmful and dangerous UV rays. Why do you need a fishing mask? How to pick the best face mask for fishing? How to care for your fishing mask? Why would you want to cover your face in a balaclava while fishing? Surely you don’t need to dress up like a bank robber to keep the sun off your face? While they might look a little silly at first, these face masks do an incredible job protecting you from the sun. They also offer better UV protection than sunscreen. A fishing mask creates a physical barrier between the sun’s rays and your skin. Keeping your skin shielded from the sun is important for preventing skin cancer. We all know how harmful excess sun exposure can be to the skin – skin cancer, premature aging, sun spots, and wrinkles are all caused by too much UV radiation. However, most people are unaware of the downsides of sunscreen usage. Chemical sunscreens have been shown to accumulate in marine life (which harms reproduction) and have been linked to coral reef bleaching. Several popular tourist destinations even ban the use of certain chemical sunscreens due to their damaging effects. 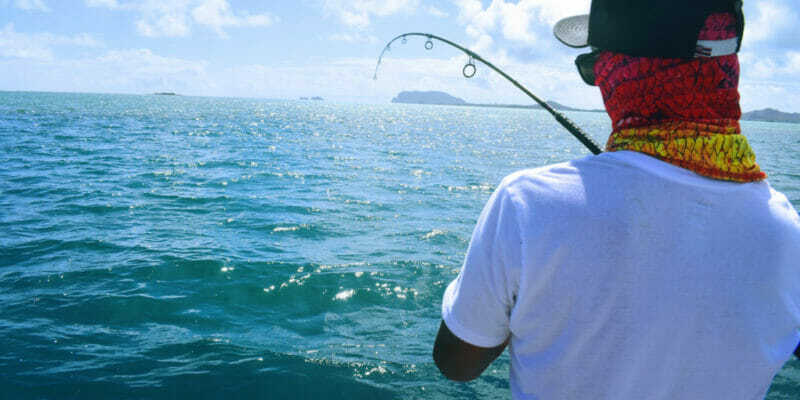 Wearing a fishing face mask means you won’t need to constantly reapply sunscreen to your face and neck. If you fish in hot weather, you know how annoying sunscreen can be when you sweat and it burns your eyes and clouds up your sunglasses. Unlike bandanas or T-shirts, most masks are made from fast-drying, breathable materials. These materials ensure you can breathe totally unobstructed and won’t get too hot or fog up your shades. They also prevent sweat from building up and creating a bad odor inside your mask. Insects. Protects your skin from mosquitoes and insect bites. Stealth. Many masks are available in camouflage and water patterns to help you blend into your surroundings and keep fish unaware of your presence. Wind Burn. Too much wind can be just as irritating as too much sun. A face mask will cut the effects of wind on your face. Aqua design makes some of the best fishing clothing on the market – this face mask is no exception. With four-way stretch fabric, this mask can be easily configured in 12 different ways. The fabric provides your face, head, and neck with UPF 50+ coverage from UV rays. The microfiber and spandex fabric is moisture-wicking and breathable. 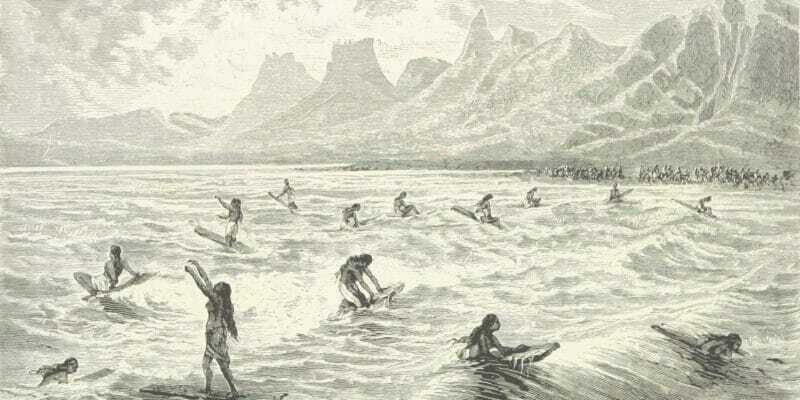 It’s designed to be used both in and out of the water. Available in five different sizes (from XS-XL), the aqua design mask allows you to get the perfect fit for your head. The proprietary “sky-ward” water-print camouflage colors mean you can easily blend into your surroundings – helping you stay invisible to fish. A fishing mask doesn’t need to cost much. This budget mask does exactly what it’s supposed to – keep your face and neck protected from the elements. Available it a wide variety of colors and patterns, these masks get the job done in style. 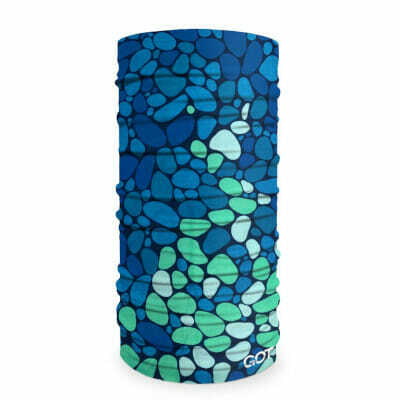 The fabric is lightweight and seamless microfiber – keeping your face well shielded while still being breathable. The lack of seams makes it comfortable and less irritating than other cheap masks. The material is on the thinner side, so if you’re looking for a mask to keep you warm in the winter, you may need to double up. This highly versatile fishing cap keeps your entire face and neck protected from the sun. It provides UPF 50+ coverage – blocking 98% of harmful UV rays – so there’s no need to apply sunscreen while you wear it. It’s designed like a classic wide-brim fishing cap, with detachable front and rear flaps for your face and neck. The front flap has a breathable mesh lining around the nose and mouth to allow air to flow unobstructed. A drawstring on the back of the hat makes it totally adjustable, and suitable for all hat sizes. The material is water resistant, so it’ll work well for rainy day fishing as well. Cold winter weather doesn’t mean your face needs to freeze while fishing. 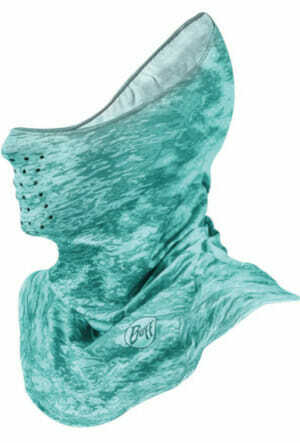 This merino wool face mask by Buff is the perfect face covering when temperatures take a dive. Made of lightweight, breathable, 100% eco-friendly merino wool, this mask is a versatile all-season piece of head-wear. It’s not just for fishing – it also works great for backpacking, hiking, skiing or motorcycling. The merino wool is soft, warm and naturally odor resistant. It’s also thin enough to fit underneath a helmet or hat. Buff is one of the original companies manufacturing face covers, so you can be sure you’re getting a high-quality product that will last. This full coverage mask by Buff is a great choice for anyone who wants maximum sun protection for their neck and shoulders. 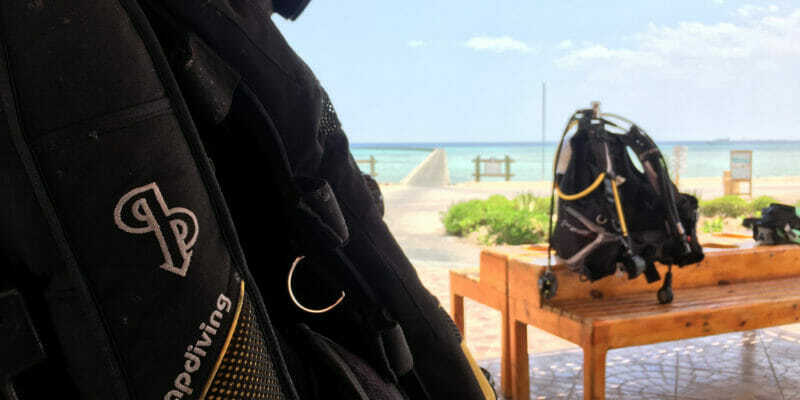 The mask material extends further down the chest and back than a typical fishing mask – which means better coverage from sunburn and fatigue. Its UPF 50+ fabric means you’ll be well protected from UV rays. The moisture-wicking Coolmax material is soft and breathable, with laser cut breathing holes around the mouth. The material is contoured to fit your face and shoulder areas. It also has polygiene active odor control to keep it odor free. 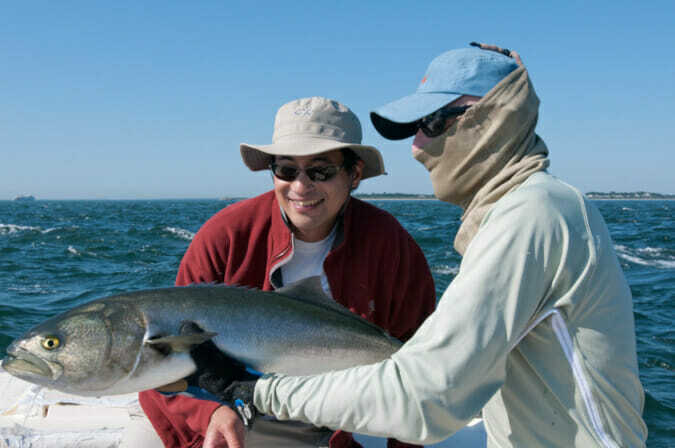 Fishing face masks (sometimes called Hoo-Rags) are highly versatile and can be worn in a variety of ways, depending on the weather conditions and your personal preference. Balaclava. The classic bank robber chic. The balaclava covers your entire face, neck, and head. It works well in many weather conditions and will help keep you warm in colder climates. Beanie. The beanie works well when you want to keep sweat out of your eyes, or when you want to keep your head warm in cooler weather. Sahariane (Do-Rag). Similar to the beanie, the sahariane (or Do-Rag) is great at absorbing sweat from your brow. It also works well for keeping your head warm. Keep in mind that neither of these configurations will protect your face or neck from the sun. Face Mask. Like the balaclava, but without the head covering. The face mask keeps your face and neck well shielded from the elements. You can add a baseball cap for complete sun protection. Hat Liner. Great for hot temperatures, the hat liner absorbs sweat from the top of your head. You can dunk the fabric in cool water to further cool your scalp. Neck Gaitor. 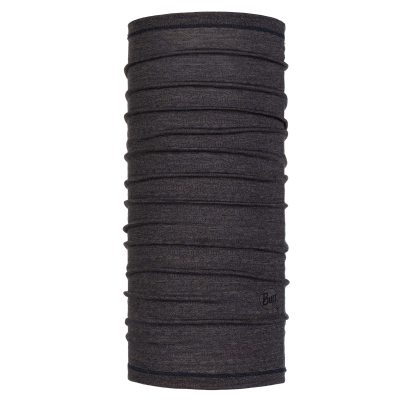 The neck gaitor keeps your neck warm and protected in any climate. It can be easily pulled up to cover your face and mouth for further protection. Hood. Kind of like a medieval hood. The hood covers your neck, ears, and head while leaving your face uncovered. Pirate. Yarrr – shiver me timbers! The pirate is similar to the Do-Rag but with a bit more sea-captain swagger. It’s also adjustable, so you can make it fit any sized head. Headband. The classic Rambo look. The headband is great for mopping up the sweat from your head. It works great in hot, humid weather. Sun Guard. This configuration offers maximum protection from the sun and the elements. It covers your neck, nose, mouth, and head. 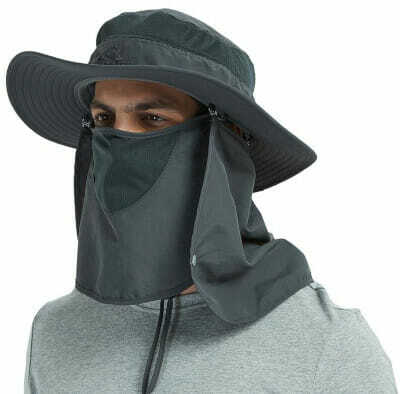 It’s basically the balaclava with a baseball cap added to shield your face from the sun’s rays. Neckerchief. Like the neck gaitor but pulled down a little further. The neckerchief is great for wicking sweat from your face and neck. It can also be easily pulled up to cover your face. Wristband. You can wrap your face mask around your wrist to make a wristband. Great for keeping your face mask handy when you’re not wearing it – the wristband also wicks away sweat from your arms to keep your grip dry. Size. Most fishing face masks are made from a fairly stretchy material and one size will fit most heads. Some masks like the Aqua Design are made from a less stretchy material and come in a variety of sizes. Materials. Most face masks are made from highly breathable synthetic microfiber. This material is lightweight, stretchy and wicks away moisture fairly well. However, it doesn’t provide much warmth. Some higher end masks are made of fine merino wool. If you’ve ever owned a merino wool sweater or socks, you know how warm and comfortable it can be. Merino keeps you warm while still being highly breathable and fast-drying. It’s also naturally odor-resistant. Pattern. There are tons of colors and patterns to choose from. Obviously, pick something you like and will enjoy wearing. Keep in mind that darker colored materials will absorb more heat than lighter colors. 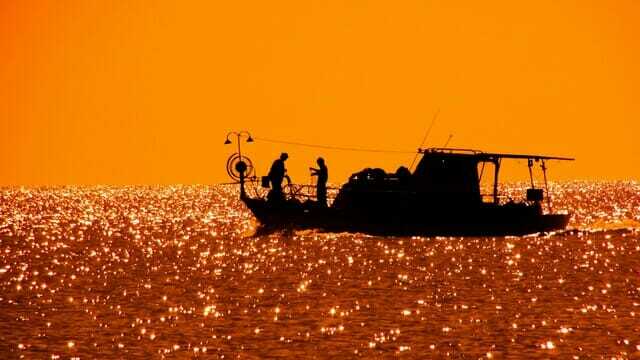 If you’re fishing in hot weather, going with a lighter color is a smart move. Camouflage patterns will allow you to blend in with your surroundings and can be matched with other camo gear to create a highly stealthy silhouette. Although most fishing masks have some sort of odor-resistant coating, you’ll still need to clean them from time to time. Caring for your fishing mask is fairly simple. Hand or machine wash in cold water and then line dry. Most fishing masks are quick-dry so they won’t take too long to dry off completely. Avoid using a machine to dry, as it can damage the coating and stretchy material. Because they’re so cheap, even if you do ruin a fish face mask, grabbing one or two more is no big deal. 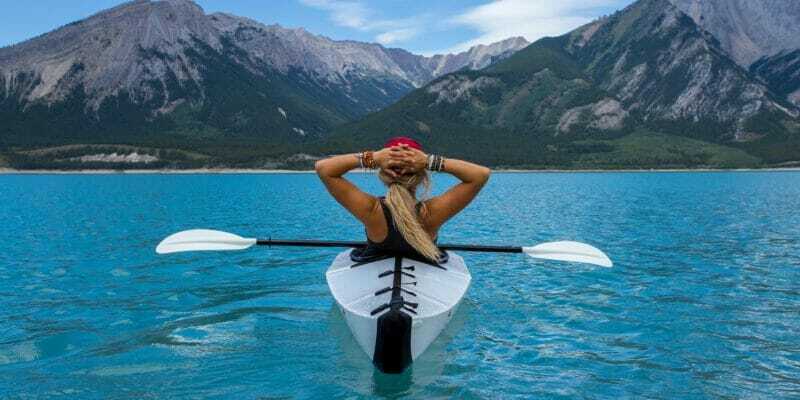 They come in handy for more than just fishing too – they work great for hiking, skiing, snowboarding or anytime you need to protect your face from the elements. Q: Why do people wear face shields when fishing? A: Fishing face masks offer excellent protection from the sun, wind, and cold. They’re highly versatile and can be worn in a variety of ways. They reduce the amount of sunscreen you need and keep sweat from getting into your eyes. Q: What do face shields protect you from? A: The sun, wind, cold, insects bites and dust particles. 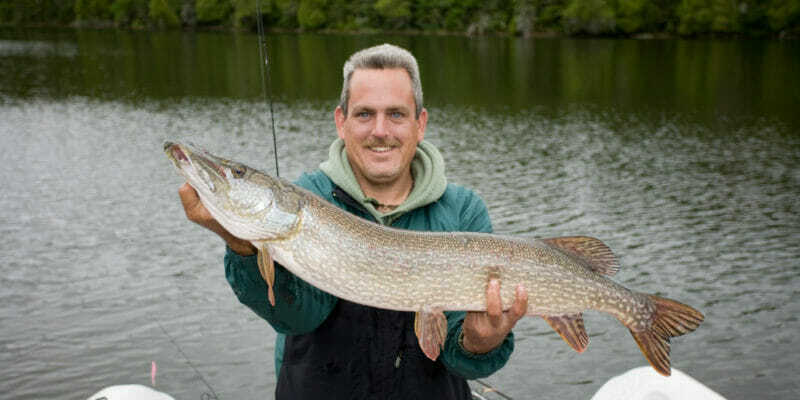 Q: What is a fishing neck gaiter? 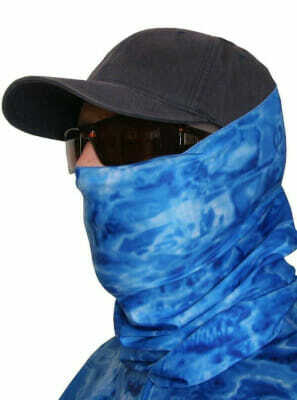 A: A fishing neck gaiter is a fishing mask that covers your entire neck and upper chest. Q: Can you breathe well with a fishing mask? A: Yes. Fishing masks allow you to breathe in a totally unobstructed manner. Many are made of lightweight breathable microfiber. Some also have holes around the nose and mouth to assist breathing.